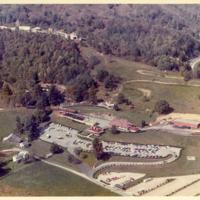 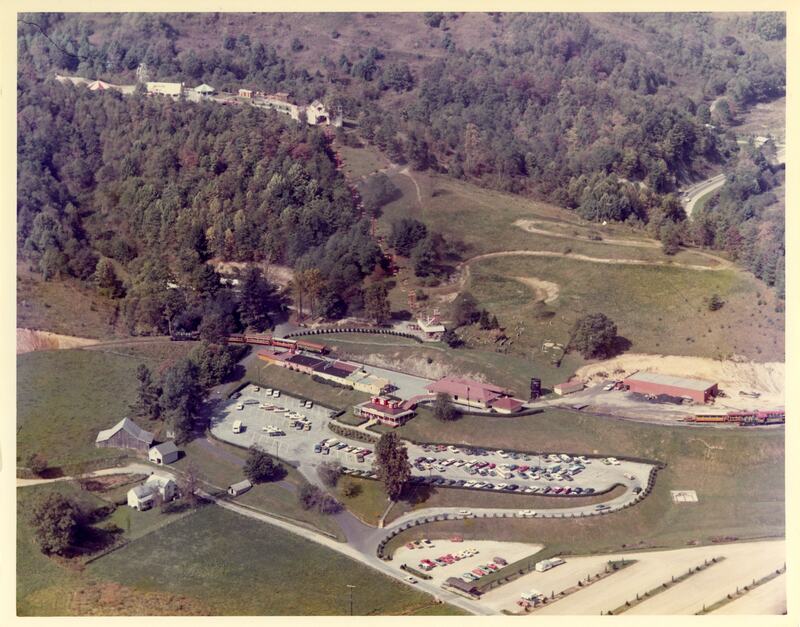 Color image of an aerial view of the Tweetsie Railroad theme park in Blowing Rock, NC. 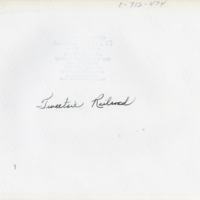 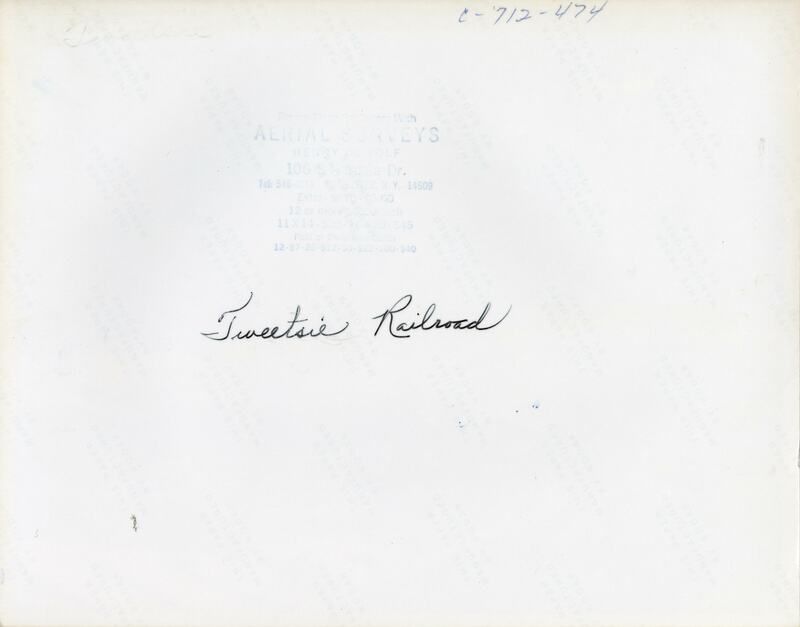 The back of a photograph has the stamp of Henry Dewolf and the handwritten inscription "Tweetsie Railroad." 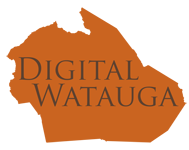 “Tweetsie Railroad,” Digital Watauga, accessed April 25, 2019, http://digitalwatauga.org/items/show/3134.